Marine Mark Adams received a Mention in Despatches in recognition of gallant and distinguished service in Afghanistan. Marine Robert Bainbridge received a Mention in Despatches in recognition of service during the operations in the South Atlantic. 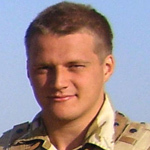 Corporal Garry Banford received a MiD in recognition of gallant and distinguished services in Afghanistan during the period 1st October 2007 to 31st March 2008. Captain Robert Bavister, No. 2 Commando Administration Officer , received a Mention in Despatches in recognition of gallant and distinguished services in the Mediterranean Theatre . 30 September 1939 commissioned Second Lieutenant . Sergeant Peter Beevers received a Mention in Despatches in recognition of his service during operations in the South Atlantic. Signalman Alexander Berchervaise received a MiD in recognition of gallant and distinguished services in the combined attack on Dieppe. National Archives file WO 373/93/851. 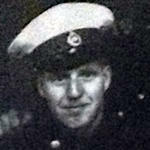 Petty Officer Kenneth Bevis was killed in Italy. 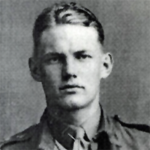 He received a posthumous MiD for "distinguished service in operations carried out in the face of determined opposition from the enemy which led to the capture of the island of Elba." 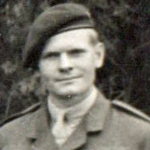 Company Sergeant Major James Black was awarded the MM for bravery, skill and devotion to duty whilst serving with the Allied Forces during the campaign in the Low Countries, over a period from January to April, 1945 . 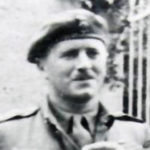 He also received a MiD in 1945 for good services while operating with the 21st Army Group. .
Major Harry Harold Blissett served as a Captain in No 4 Independent Company and No 2 Commando. He was appointed Brigade Major in the 1st Special Service Bde in preparation for DDay. In 1945 he received a MiD for gallant and distinguished services in NW Europe. London Gazettes Supp. 36994, page 1558. Corporal David Brackstone received a MiD in recognition of gallant and distinguished services in Afghanistan in 2009. London Gazette Supp. 59366, page 4835. George Leonard Bream, or 'Percy', as he was known in the Corps, was born on June 1st 1919 in the hamlet of Buckworth, Huntingdonshire. He was the middle son of a a family of six, his father being a farm labourer. After leaving school with a basic education he moved to his eldest sister's home in Luton where he at first worked as a market trader, and then in a gent's outfitters. In 1938 with talk of trouble in Europe he joined The Royal Marines. 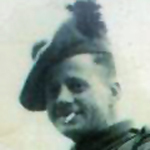 In 1944 he joined the newly formed 48RM Commando after successfully completing his training at the Commando Basic Training Centre at Achnacarry. 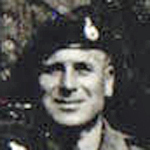 Sergeant Ian Brice, S.B.S., received a Mention in Despatches in recognition of his service during operations on South Georgia and patrols in the Mount Kent region of the Falklands. Corporal Spencer Brooks received a MiD in recognition of gallant and distinguished services in Afghanistan in 2009. 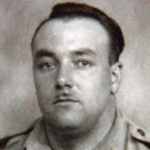 Trooper Jack Brown was shot and killed whilst a prisoner of war and attempting to escape. 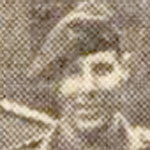 On the 2nd February 1941 he was posted from the Yorkshire Hussars to the "Depot Commando Training and Holding Unit." This Depot came into being mid December 1940 and was formally established at Geneifa beside the Great Bitter Lake under the command of Maj. D.W. Melville MC on the 25th January 1941. 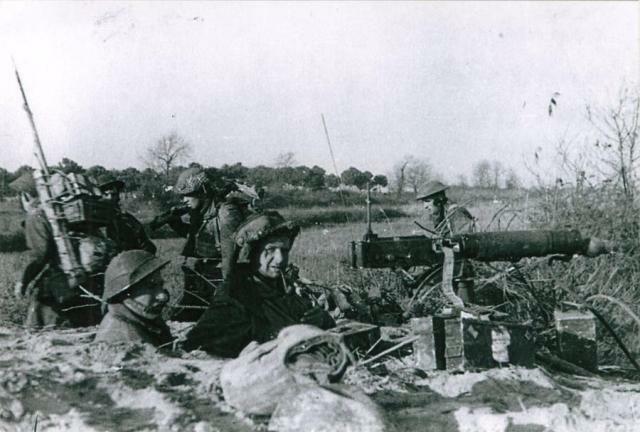 Its role to provide training and reinforcements for 50, 51, and 52 Commandos who were all deployed at the time, and also as a Holding Unit for Commandos. Warrant Officer 2 Robert Brown, 3 Cdo. Bde. HQ., received a Mention in Despatches in recognition of his service during operations in the South Atlantic. Lance Corporal Robert F. Brown received a MiD in recognition of gallant and distinguished services in the field. London Gazettes Supp. 377787, page 5606 & Supp. 39355, page 5284 (errata). Read more about BROWN, Robert, F.
Sergeant Edward Buckley, S.B.S., received a Mention in Despatches in recognition of his service during special forces patrols in the initial phase for the battle of Port Stanley between 10 -14 June 1982. Sergeant Brian Burgess received a Mention in Despatches in recognition of service during operations in the South Atlantic. Major Aleck Burrell received a Mention in Despatches in recognition of gallant and distinguished service in Afghanistan in 2011 . Lieutenant Robert Burtinshaw died during the raid at St Nazaire. 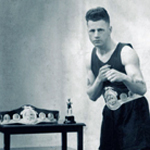 He was one of the commando contingent on HMS Campbeltown and OIC of a demolition team. 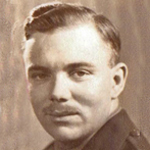 He received a posthumous MiD for his "gallant and distinguished services in action against the enemy during the raid." London Gazettes Supp. 37162; Page: 3494 and Supp. 37629; Page: 3273 (errata). Sergeant Patrick Byrne was awarded the MM in recognition of gallant and distinguished services in NW Europe . 27th May 1954 commissioned Lt. (Qr.Mr) in the Foresters . 29th January 1957 received a MiD in recognition of distinguished services in Cyprus for the period 1st July to 3lst December, 1956 . 2nd July 1959 promoted Captain (Qr.Mr.) Parachute Regiment . 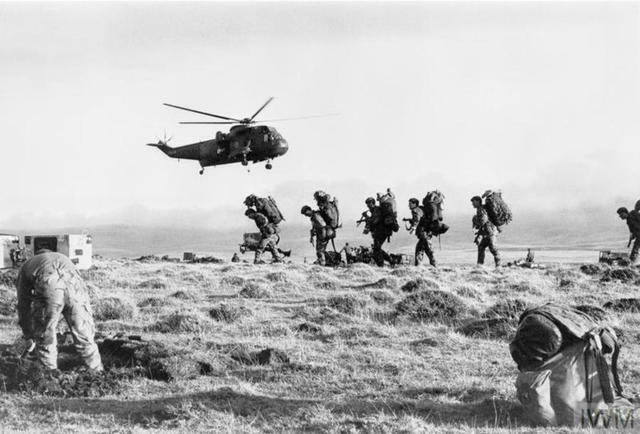 Sergeant Edgar Candlish received a Mention in Despatches in recognition of his service during the landings at San Carlos, East Falkland, May 1982. 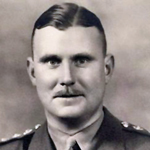 Sergeant Francis Carr was awarded the DCM  for his gallantry during the raid at St Nazaire. 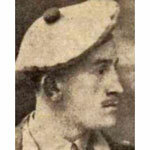 He was the senior NCO of a demolition party led by Lieut Burtinshaw on board HMS Campbeltown . 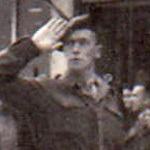 He also received a Mention in Despatches in recognition of distinguished services as a Royal Engineer in connection with operations in the field March-June, 1940..
Acting Lance Corporal Christopher Casey received a Mention in Despatches in recognition of gallant and distinguished services in Afghanistan. Corporal Russell Coles received a Mention in Despatches in recognition of gallant and distinguished service in Afghanistan. London Gazette Supp. 59182, page 15641. Sergeant Clive Collins received a Mention in Despatches in recognition of gallant and distinguished services in the combined attack on Dieppe 18/19 August 1942 . Marine David Combes received a Mention in Despatches in recognition of service during the operations in the South Atlantic. Corporal Gordon Cooke received a Mention in Despatches in recognition of service during the operations in the South Atlantic. Sergeant Robert Cooper received a Mention in Despatches in recognition of service during operations in the South Atlantic. Marine Matthew Corcoran received a Mention in Despatches in recognition of gallant and distinguished services in Afghanistan in 2008. Lieutenant Ronald Crawford received a Mention in Despatches in recognition of his service during operations in the South Atlantic. Sergeant Graham Dance received a Mention in Despatches in recognition of service during operations in the South Atlantic. Marine Leslie Daniels received a Mention in Despatches in recognition of service during the operations in the South Atlantic. 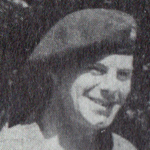 Colour Sergeant Barrie Davies received a Mention in Despatches in recognition of his service during operations in the South Atlantic. 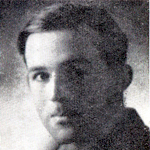 Sub Lieutenant Alan Davis was killed in Italy . He received a posthumous MiD for "distinguished service in operations carried out in the face of determined opposition from the enemy which led to the capture of the island of Elba." 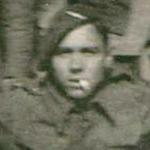 Major Derek Roderick de Stacpoole, 'Y' troop, was shot and killed during operations at Walcheren. He had earler been wounded during the Normandy landings rejoining the Commando and taking part in operations at Dozule in August. He received a MiD for " good service while operating with 21st Army Group." 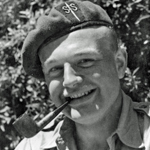 D Day Commando - From Normandy to the Maas with 48RM Commando author Ken Ford. 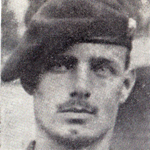 Second Lieutenant George Dillwyn-Venables-Llewelyn, No. 2 Independent Company, died during operations in Norway as part of Scissors Force. 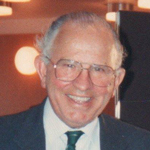 He received a posthumous MiD in recognition of distinguished services in the field. Sergeant Brian Dolivera received a Mention in Despatches in recognition of service during operations in the South Atlantic. Sergeant Robert Driscoll received a Mention in Despatches in recognition of gallant and distinguished service in Afghanistan in 2011. 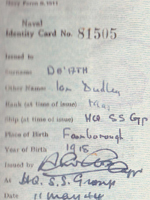 Marine Stephen Duggan received a Mention in Despatches in recognition of service during the operations in the South Atlantic. 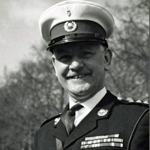 Sergeant Ruairi Dwyer was appointed M.B.E. (Military Division) in recognition of gallant and distinguished services in the field . Captain Daniel Eaton received a Mention in Despatches in recognition of gallant and distinguished service in the field during the period 1 April to 30 September 2016 . Lieutenant Andrew Ebbens received a Mention in Despatches in recognition of his service during operations in the South Atlantic . Marine James Flemming received a MiD in recognition of gallant and distinguished services in NW Europe .